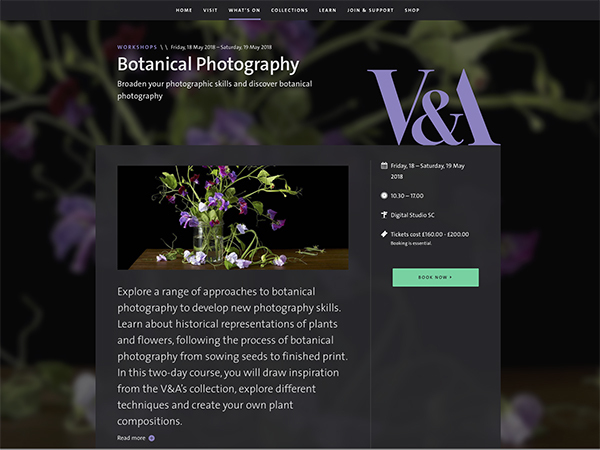 I will be leading another botanical photography course at the Victoria and Albert Museum on 1st & 2nd March. After that, my work will be on show at The Affordable Art Fair, Battersea, London 0n 7-10 March. I’ll also be at Midcentury Modern in Dulwich, London on 10th March and on 11/12 and 18/19 May, my images will be part of a group show at the Dulwich Festival Artists’ Open House. 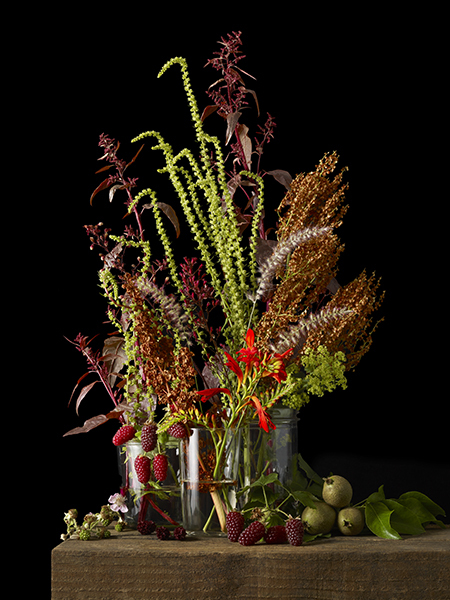 There will be plenty of new pictures on show which I have been retouching during the autumn and winter months including this one, Mixed Summer Plants 2, 2018. New images and last orders for Christmas. December 2018. 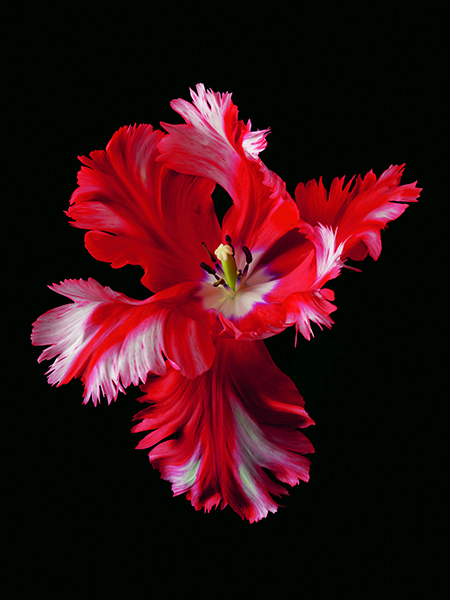 Here is one of the new images which has been on view in the last few weeks at various shows and exhibitions. 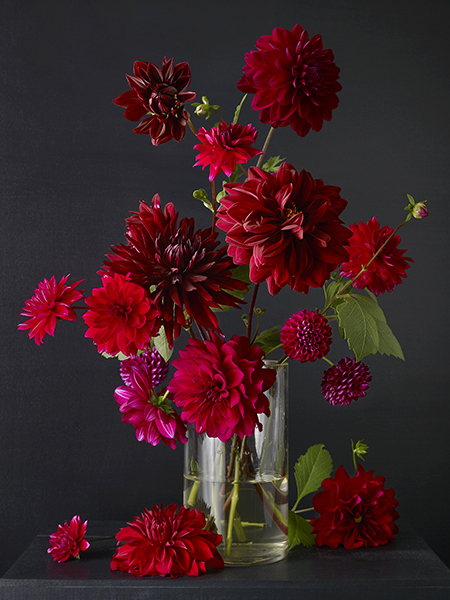 It is part of a series of dahlia studies using eight different varieties of dahlias grown in the garden. This one is called Dahlias 3, but there will be more coming soon including landscape versions. It’s almost time for last orders for Christmas. I don’t think framed images are now possible but print only orders before 10th December can still be delivered in time for Christmas. Secret Charter and Midcentury Modern Show. November 2018. Here’s the image which I donated to the Secret Charter fundraising event recently to help fund the art department at The Charter School in Dulwich. Hundreds of artists gave pieces of work including Gary Hume, Tracy Emin and Anthony Gormley. Tickets were bought for £40 and the artworks were randomly allocated. Everything sold out in 25 minutes! The work was on show at the Dulwich Picture Gallery and the event raised over £50,000. Looking ahead, I will have new work on show on my stand at Midcentury Modern, Dulwich, London, SE21 7LD on Sunday 18th November, 10am-4pm. Feel free to contact me for free tickets via my contact page – I often have a few spare pairs. 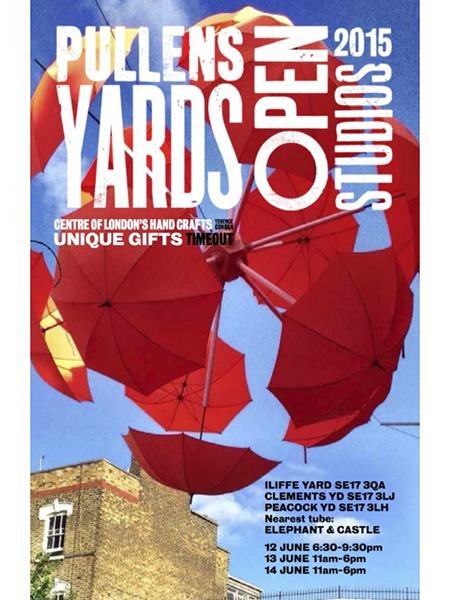 Artists’ Open House and V&A Botanical Photography Course. May 2018. I’ll be busy for the next couple of weekends. The Dulwich Festival Artists’ Open House begins this weekend where I will be showing lots of newly framed images in sizes A4 up to 30″x 40″. There will also be a selection of mounted and unframed work on sale. The address is 158 Overhill Road, London, SE22 0PS. 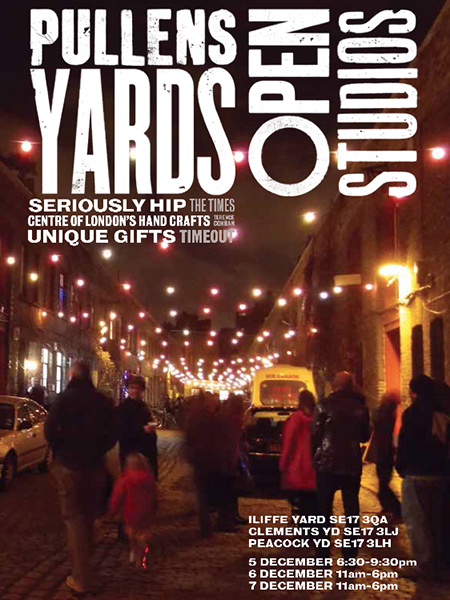 11am-6pm, 12 & 13 and 19 & 20 May. Prices from £70-£700. 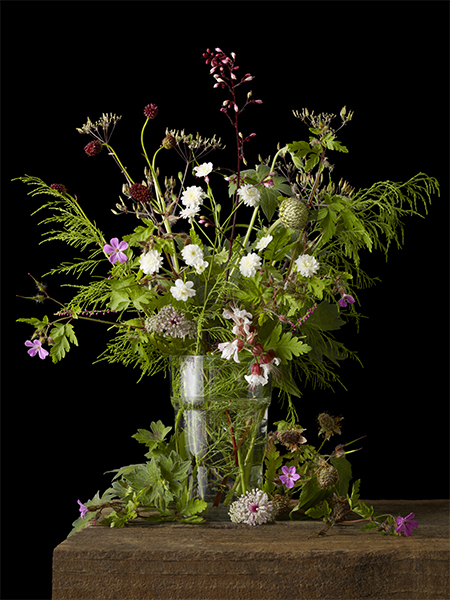 I’ll also be leading a two day botanical photography workshop at the Victoria & Albert Museum on 18th and 19th May. Sadly the course is now full but I’m looking forward to meeting the students and showing them some inspirational artwork in the V&A’s prints and drawings study room where they’ll be able to see botanical illustration, paintings and photographic prints before starting their own projects. (For this reason I won’t be there in person at the Open House on Sat 19th May). 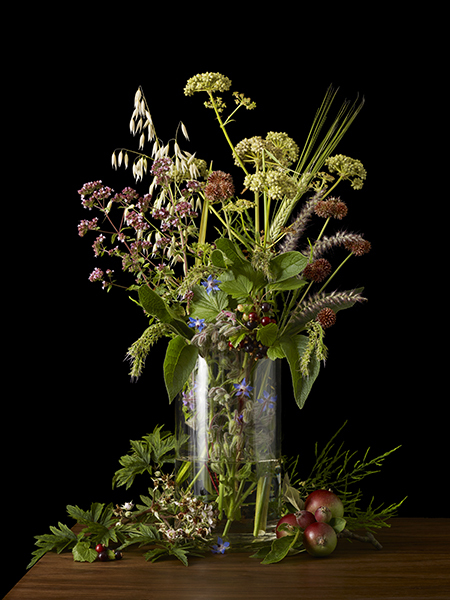 Botanical Photography Workshop at the V&A. March 2018. Affordable Art Fair, Stockholm. October 2017. I’ve spend a lot of time this year photographing another dozen varieties of tulips. Many of these are on show now for the first time at The Affordable Art Fair in Stockholm, Sweden, 12-15 October. 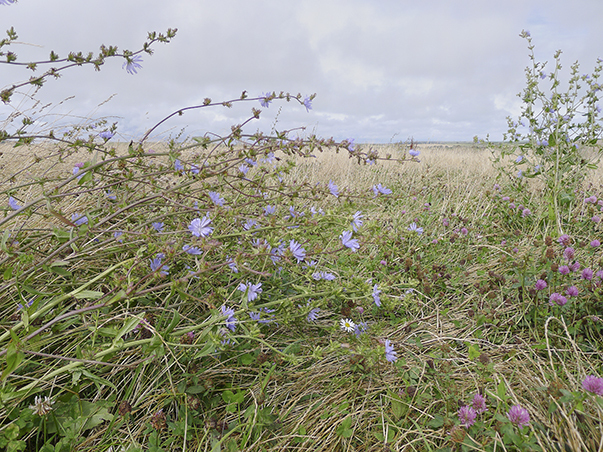 Windblown chicory, Chicoreum intybus, near the Dorset coast. 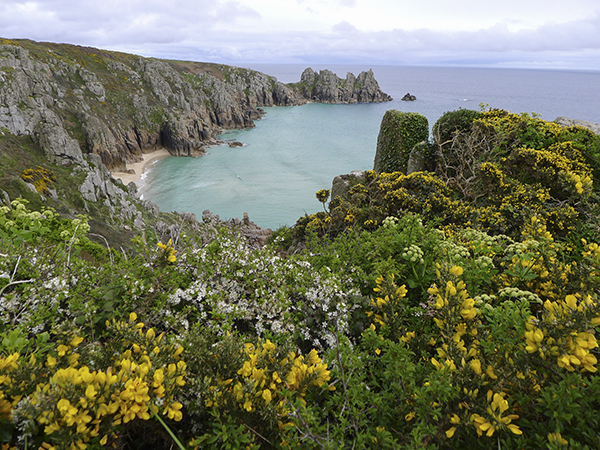 Having been down to Cornwall on so many occasions in the summer months, it was a real pleasure to enjoy a few fine days at Easter photographing the coastal plants around the Land’s End and Lizard areas. I’ve put an album of images on my Facebook page kevinduttonphotography. Amongst so many others, I saw spring squills, green-winged orchids, thrift, various sedums, rare western gorse, numerous mosses and lichens, seas of hawthorn blossom and three-cornered leeks which seemed to be everywhere. Wolfgang Tillmans and The Radical Eye at Tate Modern. March 2017. The Radical Eye, Elton John’s collection of twentieth century modernist photography is impressive. Great works by Paul Outerbridge, Imogen Cunningham and Laszlo Moholy-Nagy were all on display, beautifully printed (albeit in rather dandy frames! ), many of which inspired me to take up photography. Following this I went to the other side of the Tate Modern to the Wolfgang Tillmans show where, to my great surprise, the images I had just seen suddenly seemed not just small (few were larger than 10″ x 8″ prints) but also felt far more culturally distant. Tillmans, working in full colour and sometimes on a huge scale, cheerfully takes on the task of producing all forms of photographic imagery. No genre restrictions for him (The Radical Eye conservatively had themes of portraits, objects, bodies etc. ), he gives us everything and more. There are bits of photographic sculpture, political displays and even a room with no pictures at all: just a room with music. It’s not that the The Radical Eye is a bad show. There are numerous undisputed masterpieces there. it’s just they now felt like old masters. 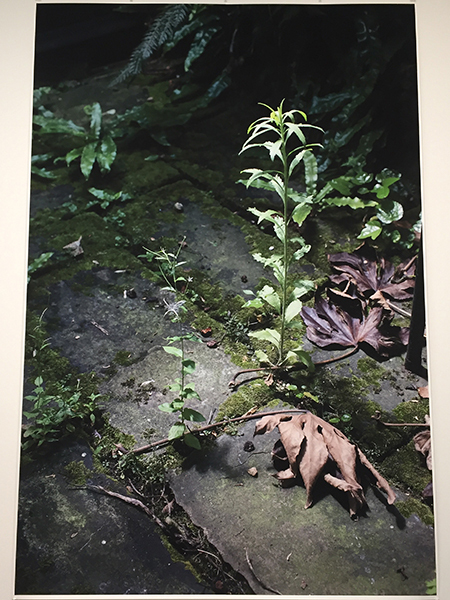 Tillmans’ work and especially his ability to use colour – on any scale – felt visceral and immediate. Amusingly, we were welcomed by being told you are allowed to take photos at the show, so here is my shot, looking up at one of Tillmans’ huge unframed hanging giclee prints. RHS Botanical Art Show. February 2017. 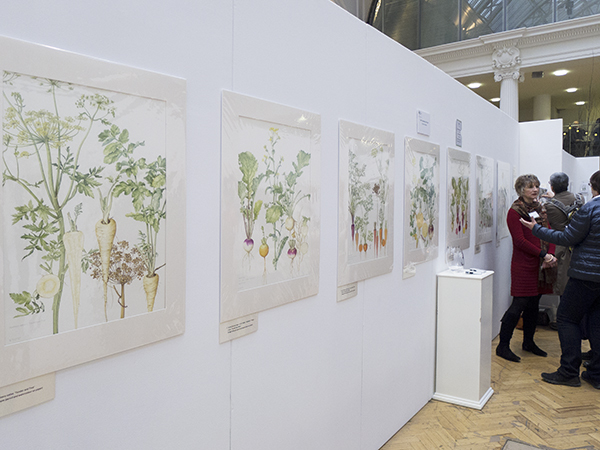 On Saturday 25th February I went to the RHS Botanical Art Show at Lindley Hall, Vincent Square, London. There were numerous outstanding entries to the competition but I particularly enjoyed the work of four artists. Sarah Jane Humphrey’s lavender studies were exquisitely detailed and I was fascinated by the labyrinthine roots of Hideko Kamoshita’s illustrations of Cirsium plants. 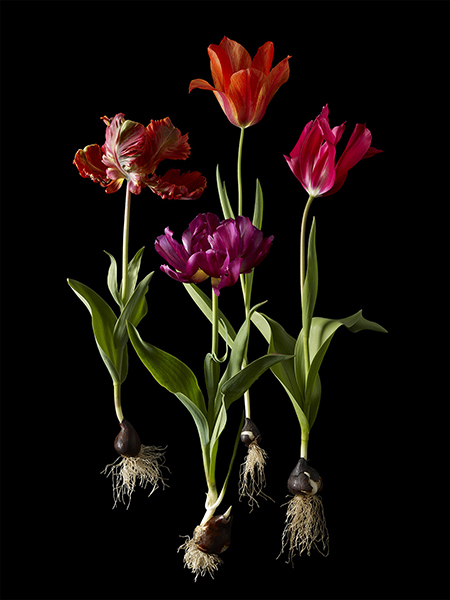 The image here shows the unconventional compositional style of Bridget Gillespie’s studies of root vegetables, one of which received the best botanical painting award. The best botanical art exhibit award was given to Mariko Ikeda for her set of outstanding watercolour on vellum images of Pandanus (screw pine). This autumn some new prints have been on show in Stockholm and London. 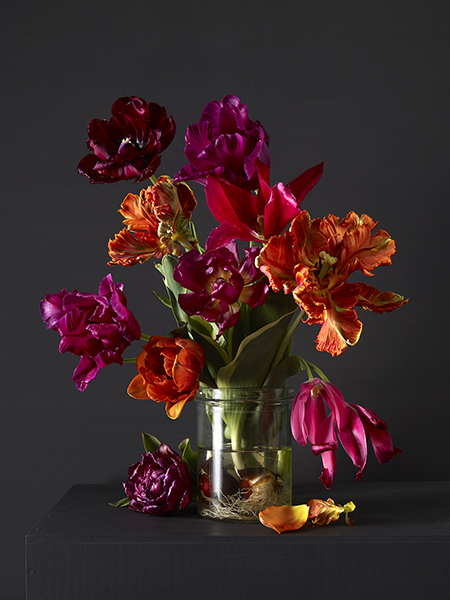 Here, Mixed Tulips 4, a composition of the tulips I grew in spring of this year includes Antraciet (magenta/crimson), Dolls’ Minuet (magenta, red flush), Orange Princess, Victoria’s Secret (purple parrot) and Blumex (orange parrot). Maria Merian’s Butterflies. September 2016. Paintings by Maria Sibylla Merian (1647-1717) at the Queen’s Gallery, Buckingham Palace. 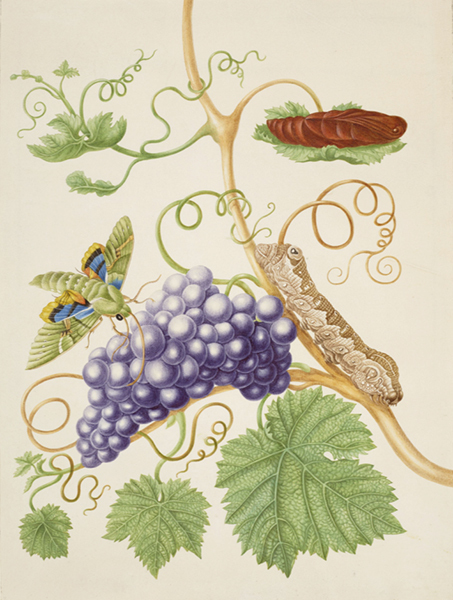 Here’s an image of a grape vine with gaudy sphinx moth. Watercolour on vellum. 1702-3. I’ll have work on show at three exhibitions starting this week. 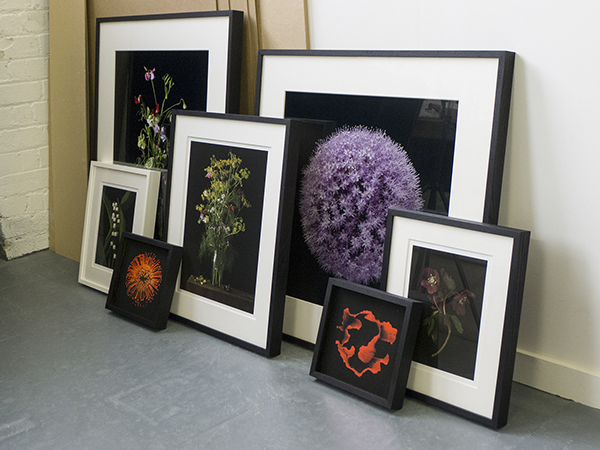 Firstly, my plant studies will appear for the first time at an art fair in South Korea. Gallery Lee & Bae will be displaying my work at Art Gyeongju 2016, 4-8 May. I’ll also have framed and unframed prints exhibited again at this year’s Dulwich Festival Artists’ Open House in London. On the weekend of 7/8 May (11.00-18.00) I’ll be at 102 Overhill Road, London SE22 OPS and some of my images will also be included at a Gas Gallery group show on 7/8 May at Lowie, 115 Dulwich Road, London, SE24 8QR. Here is one of my new prints: Mixed Plants 6. 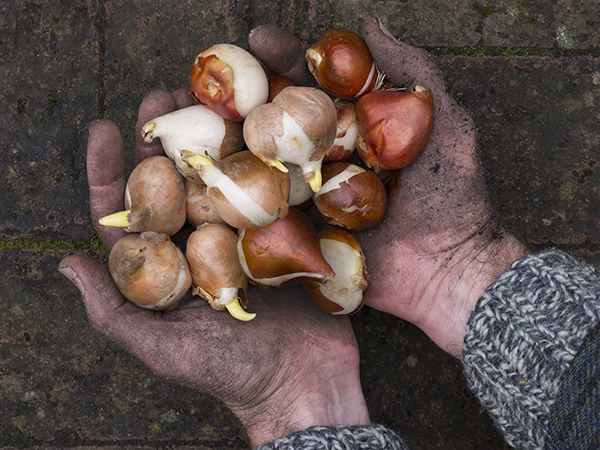 Here are some of the ten dozen bulbs which I’ve been growing for my spring tulip project. From left, El Nino, Flaming Spring Green, Antraciet, Orange Princess. 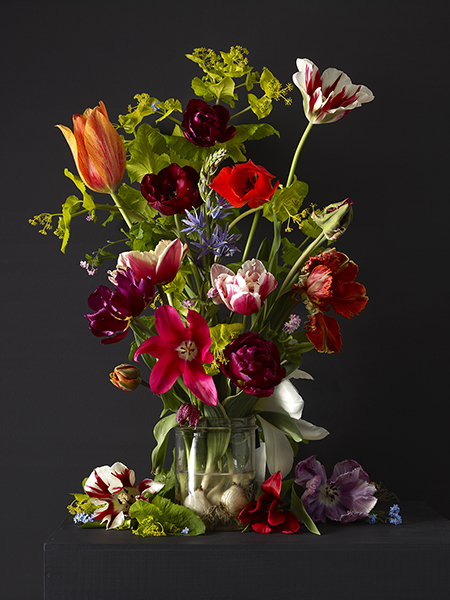 The studio is now (rather chaotically) packed with the flowers being used for my mixed plant compositions. Hamamelis at RHS Harlow Carr. April 2016. 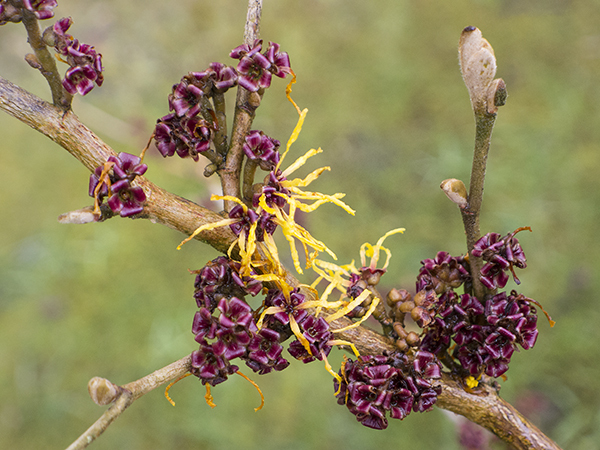 On a wet and windy early spring day at the RHS’s garden at Harlow Carr, Harrogate, Yorkshire, my eye was caught by the delicate flowers of this hamamelis (witch hazel). Affordable Art Fair. March 2016. Affordable Art Fair, Battersea, London. March 2016. 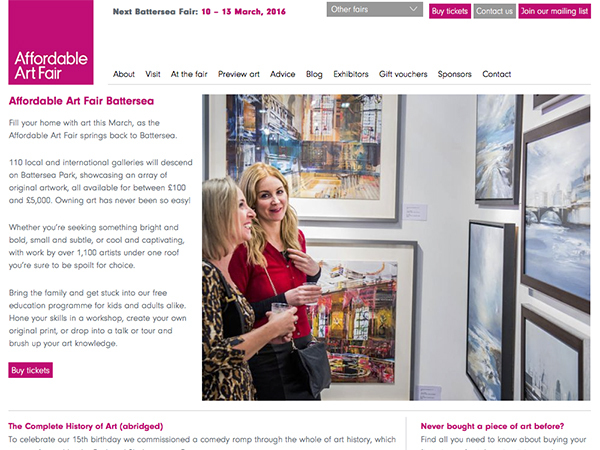 The Affordable Art Fair starts this week in Battersea, London SW11 9NJ and runs from 10th – 13th March. 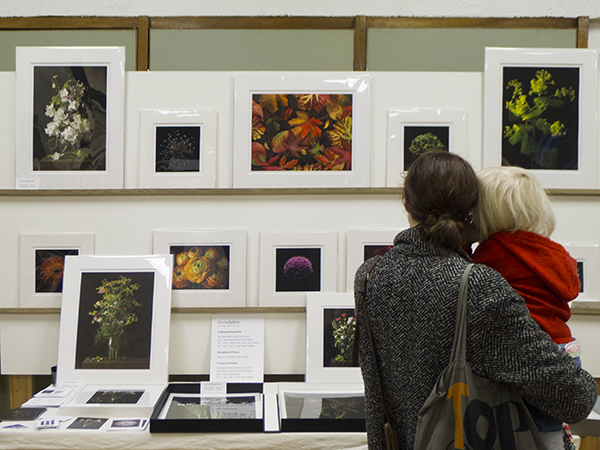 My work will be shown by Gas Gallery at stand C1 and will feature some of my new allotment plants images. While all this goes on, I will getting my hands dirty sowing hundreds of seeds in the potting shed and preparing to start shooting the tulips which are coming on at an alarming rate. New Prints and Spring Shows. February 2016. Following a busy January with the exhibition at the Gallery Lee & Bae in Busan, South Korea, I’m now preparing for two spring shows in London. 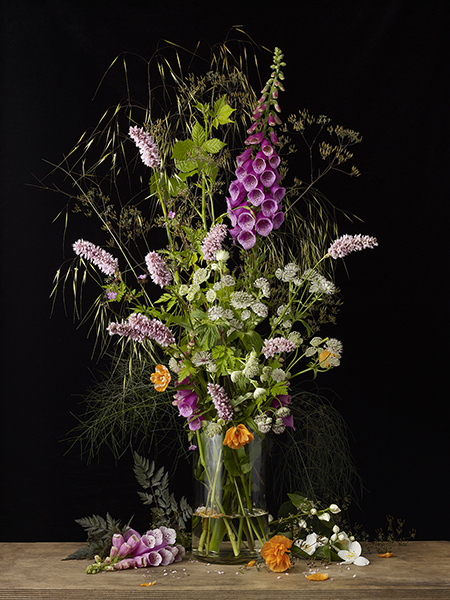 Here’s a new image, Mixed Plants 7 which will be on show for the first time at Midcentury Modern, Dulwich on Sunday 28th February. On 10-13 March, new work will also be on view at the Gas Gallery stand at The Affordable Art Fair, Battersea, London. 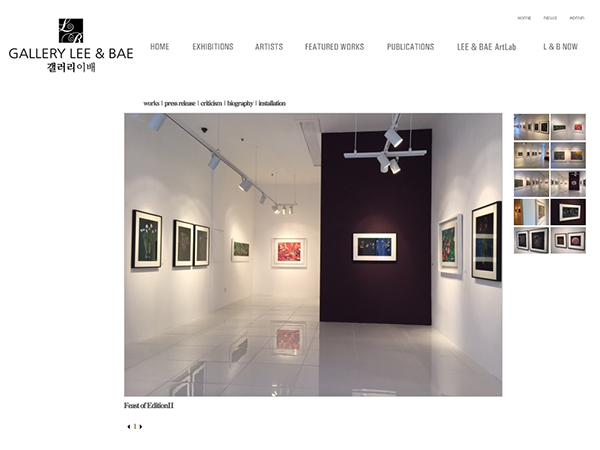 Gallery Lee & Bae, Busan, South Korea. January 2016. Today is the start of an exhibition called Feast of Edition at the Gallery Lee & Bae in Busan, Korea. Nine of my Chromogenic prints and five Giclee prints will be on show from 19th January until 20th February 2016 alongside lithographic prints by Korean artist Kim Chong Hak. The intention of the show is to celebrate edition printing and each year the gallery choose a Korean artist and a western artist. Last year at this time, the gallery showed works by Chun Kyung-Ja and Andy Warhol. Out in the garden I’ve been braving some ghastly weather in order to plant 120 tulip bulbs to photograph next spring. 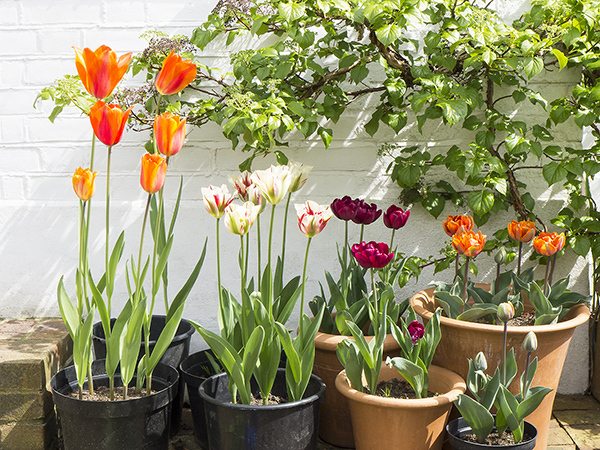 The bulbs in the image below are Antraciet and El Nino, but others will include varieties such as Blumex, Rai, Flaming Spring Green and Orange Princess. 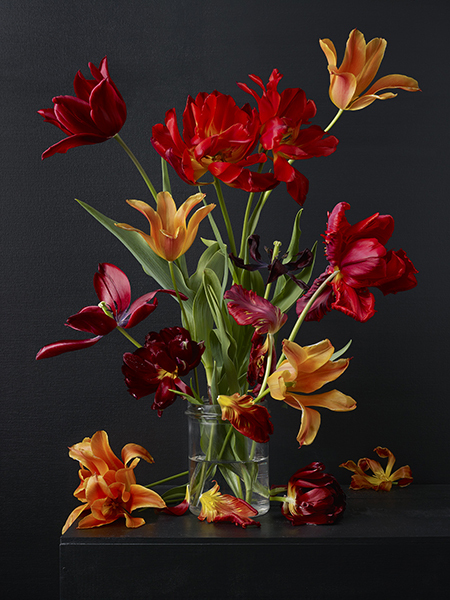 Inspired by Hortus Botanicus in Amsterdam and the stunning specimens of the Dutch Tulip Mania in the 1600s described in paintings and illustrations of the time, I’ll be working on individual and group plant studies from early April. Design Junction, London. September 2015. Since springtime I’ve been working on more mixed plants studies, so I’m pleased that the first group of this work will be on view at the Design Junction show at Gas Gallery’s stand, 23rd-27th September in central London. 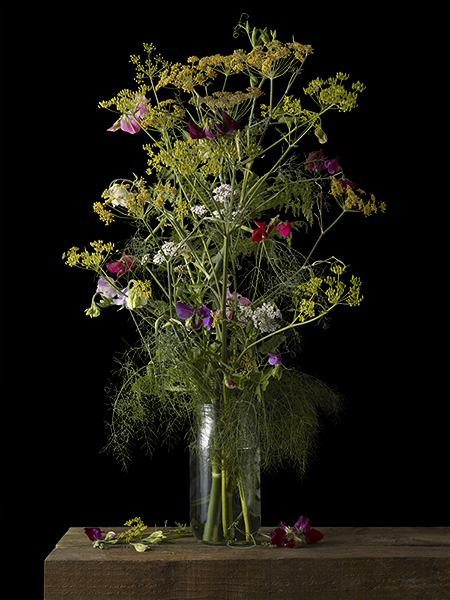 Here is one of the series using plants from the allotment. Following a couple of great weekends selling pictures and talking plants, flowers and photography at the Dulwich Festival Artists’ Open House, it’s now time for the 2015 RHS Chelsea Flower Show. 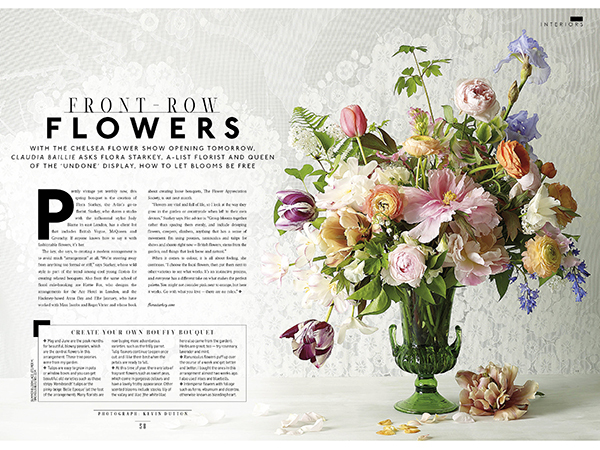 In this Sunday’s Sunday Times Style Magazine there’s a double page spread which I shot in collaboration with Flora Starkey, a floral designer who is currently working with garden designer Jo Thompson on the M&G garden retreat show garden at this year’s Chelsea Flower Show. With the the Artists’ Open House now on as part of the Dulwich Festival, Gas Gallery will be showing my work on both weekends of the Open House at The Stables, 41 College Rd, London, SE21 (11am-6pm on 9/10 May and 16/17 May), where you’ll see a range of framed and unframed work. I’m also attending a group show at 158 Overhill Road, East Dulwich SE22 OPS this weekend (11am-6pm on 9/10 May) where there will also be a garden café on site. 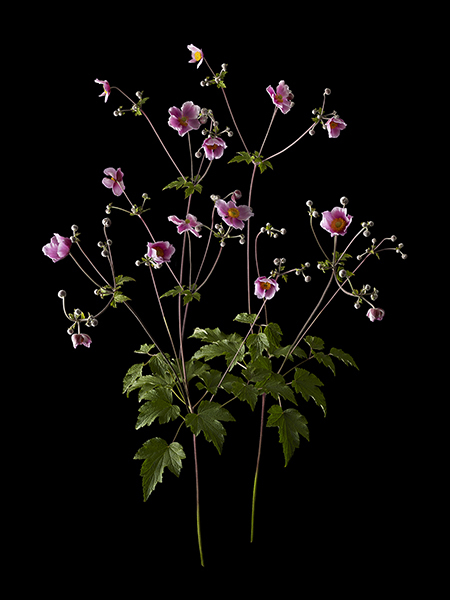 One of my new images on show will be Anemone 1. Affordable Art Fair and Midcentury Modern. 3.15. Affordable Art Fair and Midcentury Modern. It’s been another busy weekend with two fairs at the same time (!) – The Affordable Art Fair in Battersea and Midcentury Modern in Dulwich. It’s always a great opportunity to meet the public to get feedback on the new work. 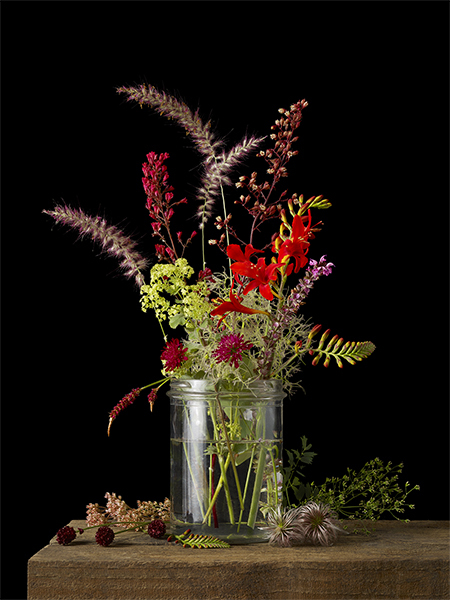 There’s been a great response to my new plants studies, especially the mixed plant still life images. 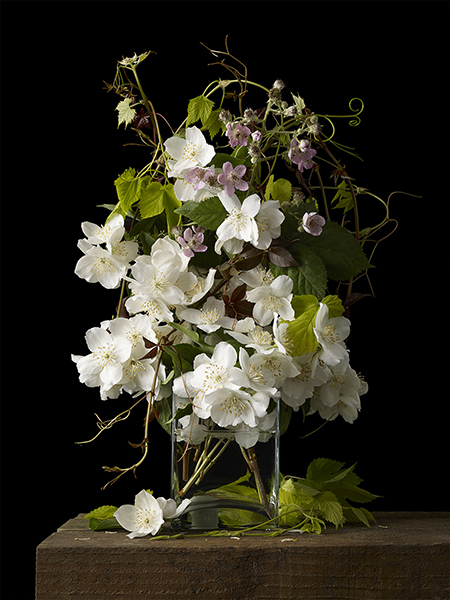 I now have to sort out the printing and framing orders, including some large framed orders of the image below, Mixed Plants 1, one of my studio compositions of various plants and flowers (including Philadelphus, Parthenocissus henryana, Humulus lupulus ‘Aureus’, and common blackberry flowers) which I grow in my garden or up at the allotment at Knight’s Hill. Some of my Christmas orders all framed and ready for delivery. Midcentury Modern at Dulwich College, London. Apart from never getting round to eating my lunch, yesterday was a fantastic day at the Midcentury Modern show at Dulwich, London. It was great to meet new buyers and catch up with returning customers whose taste for furniture and interiors certainly matches their interest in art and design. Getting everything over to the show (which, it must be said is very close to my house) wasn’t exactly easy in the pouring rain, but I was amazed to see the crowds of people who braved the weather. Modernshows, who organise the fair, have now included me in the Modern Marketplace page on their website. It’s a good place to find vintage and modern makers and suppliers of furniture, design, artwork, ceramics etc. New prints on show at Midcentury Modern and Gas Gallery’s showroom. 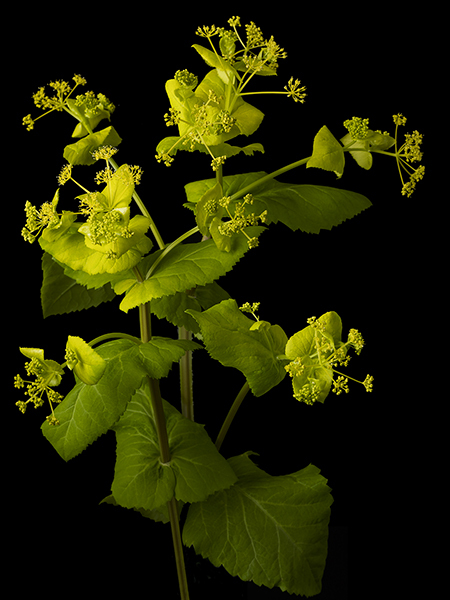 The other-worldly charms of Smyrnium Perfoliatum – one of the last A3+ prints which I’ve been mounting in beautiful, 3mm thick museum board window mounts for the shows this week. 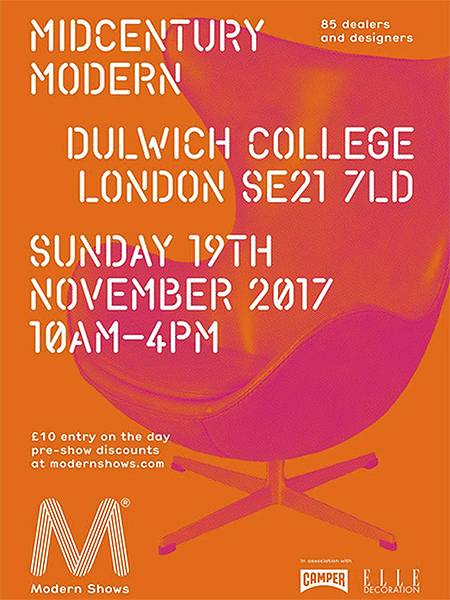 I’ll have a stand again at the Midcentury Modern show at Dulwich College, London, SE21 7LD on Sunday 23rd November and the evening opening of Gas Gallery’s showroom, 13 Iliffe Yard, London, SE17 3QA is on Thursday 27th November from 6.30-9pm. 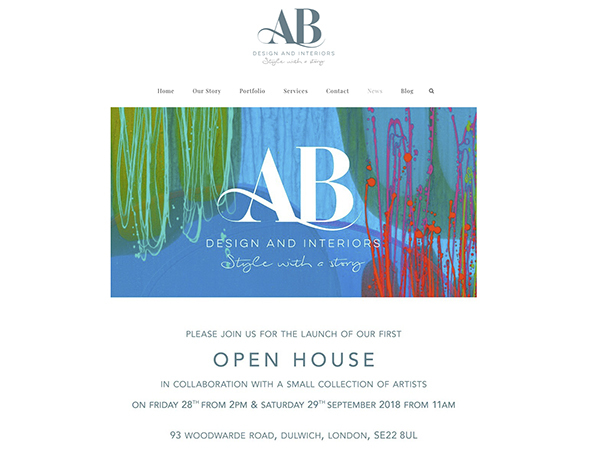 Please join us to see the new work and enjoy a glass of wine. Midcentury Modern at Dulwich College, London. Sunday November 23rd 10am-4pm. 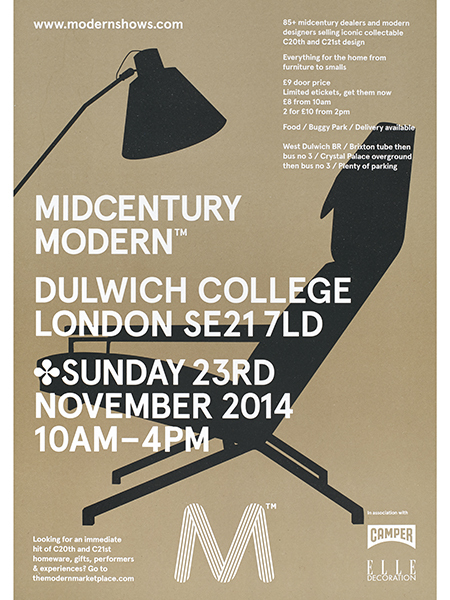 At the end of November, I’ll have a stand again at the Midcentury Modern show at Dulwich College, London, SE21 7LD. It’s a great opportunity not just to find excellent examples of vintage furniture but upstairs there will be, along with my work, a fine selection of contemporary furniture makers, ceramicists, upholsterers, designer-makers and artists. The food and coffee are also excellent! Apple iPhone Wallpaper. October 2014. One of my images is now available as one of the new wallpapers for iPhone users who have IOS 7 or 8. It’s been chosen by Apple as one of their new range of minimal plant pictures. iPhone users can find it by going to Settings>Wallpaper>Choose a new Wallpaper>Stills and you’ll see it, fourth row down. 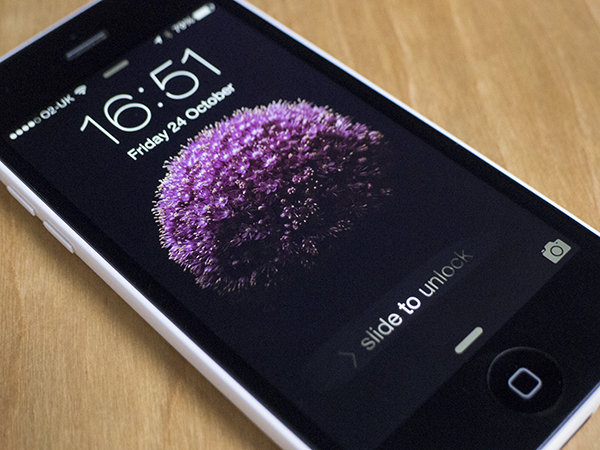 Alternatively there’s a link http://freeios8.com/ac97-wallpaper-ios8-apple-iphone6-plus-flower-minimal/ It was taken from a shoot I did of an Allium Hunton. 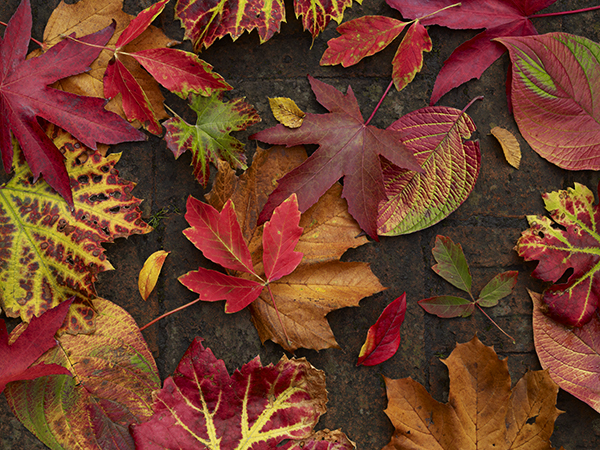 Here’s one of my new autumn leaves series, shot outdoors using natural light. The leaves include Liquidambar, Vitis, Acer, Prunus, Betula, Platanus and Cyanococcus. 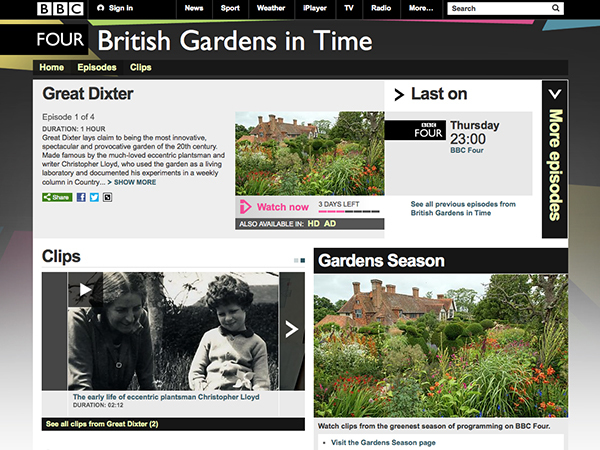 British Gardens in Time: Great Dixter on BBC4. Programme on the House and Gardens at Great Dixter and the work of the late, great Christopher Lloyd. 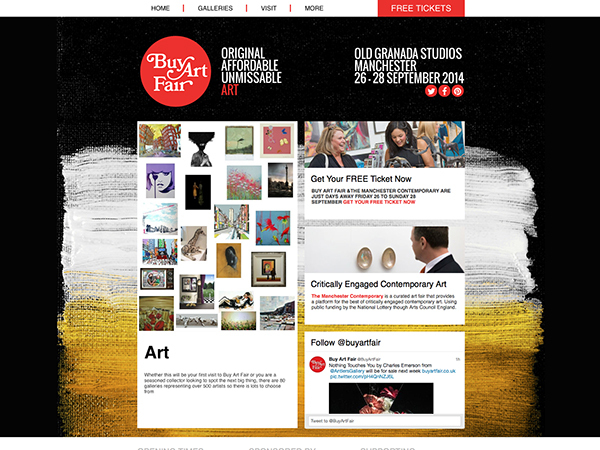 Next week Gas Art will have my work up as part of its display at the Buy Art Fair in Manchester. The dates are 26-28th September. 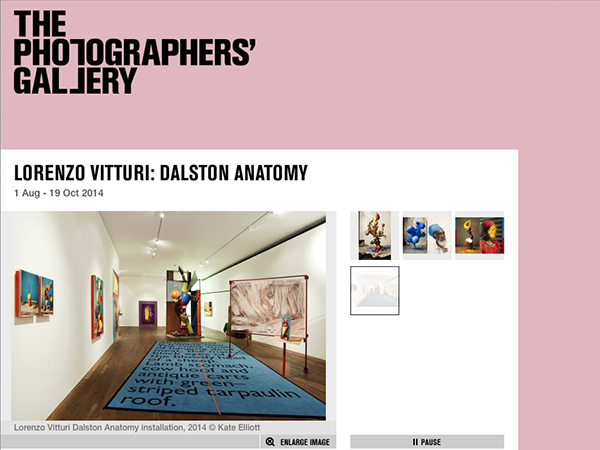 Lorenzo Vitturi at The Photographers’ Gallery, London. I went to Photographers’Gallery yesterday and loved this exhibition of half sculpture half photography by Loenzo Vitturi. Full details of the show here. Unexpected Lathyrus odoratus. 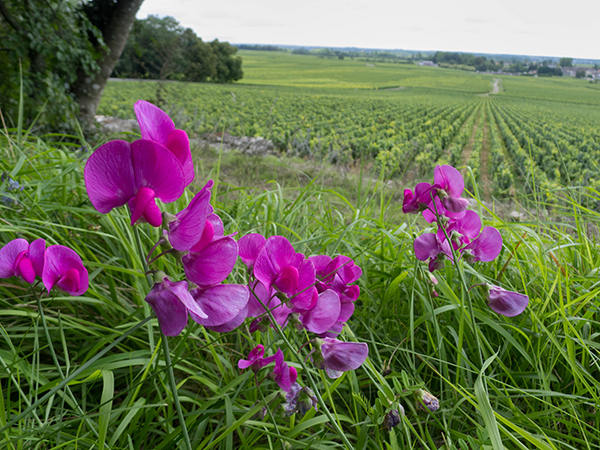 Vineyards in Burgundy, France.